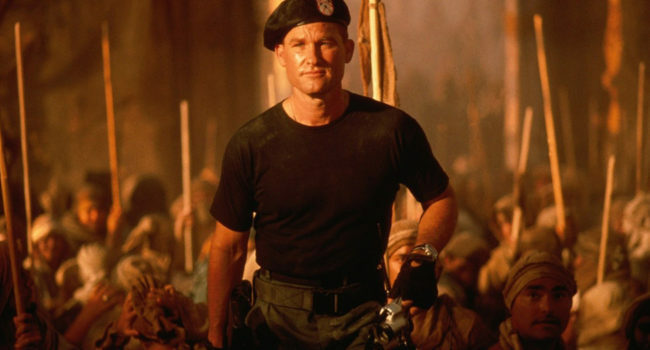 A tough, no-nonsense army colonel called in to deal with a potential alien incursion in the 1994 movie Stargate, Jack O’Neil (Kurt Russell) keeps his rowdy bunch alive and on task. He is willing to sacrifice everything for this mission, having little to live for after the death of his son. Dressed in standard military uniform with a distinctive black beret, he looks dog-headed gods and parasitic human hosts square in the eye without breaking a sweat. 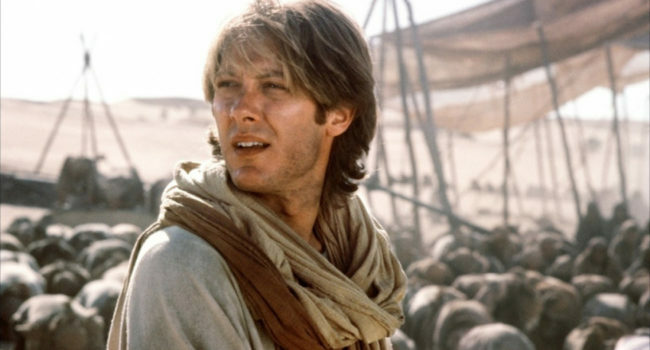 Highly intelligent, intensely curious, wildly theoretical and with a penchant for sneezing, professor of Egyptology Daniel Jackson (James Spader) from the 1994 sci-fi flick Stargate traipses across an unknown world in search of knowledge, exploration and, unexpectedly, love. While off-world, he wears a loose robe and shawls given to him by the local tribe over his standard army clothes.